Pack a healthy and sugar-free lunch box for kids with these gluten-free snack recipes from the I Quit Sugar Kid's Cookbook by Sarah Wilson. Pack a healthy and sugar-free lunch box for kids for a picnic or day out with these gluten-free snack recipes from the I Quit Sugar Kid's Cookbook by Sarah Wilson. 2. Fill one ‘tunnel’ with cream cheese and the other with a thin layer of ham. Press the two layers together then slice carefully into 3 cm rounds. 3. Place two capers on the cream cheese for eyes. Add some fronds of fennel to make eyebrows. 1. Combine the cheeses, half the herbs, salt and pepper in a bowl. 2. Divide into 8 bite-sized pieces, roll into balls and insert a bamboo skewer into each ball. Refrigerate overnight or freeze for 20 minutes. 3. Meanwhile, cook the bacon until crispy. Allow to cool then dice finely or crumble up and mix with the crushed nuts and the remaining herbs. 4. Roll the balls in the bacon and nut mixture and serve. Little hands like little handles - lamb cutlets are sweet, chicken drumsticks are juicy and cocktail sticks add a handle to any fruit, sandwich or meat. 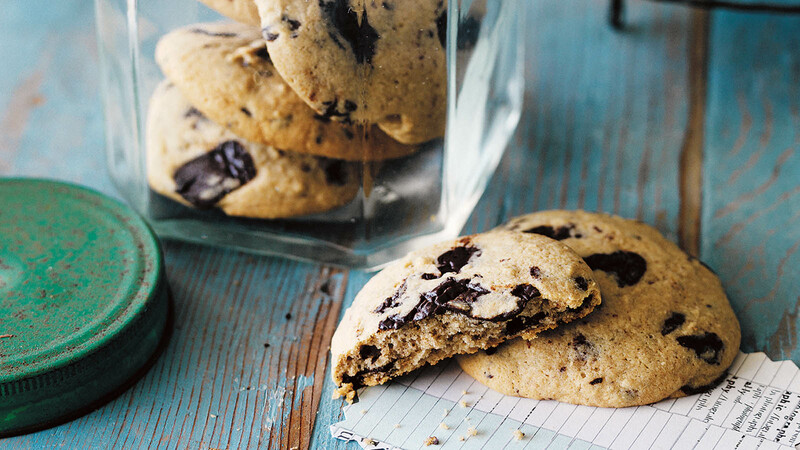 These cookies are deliciously tasty and almost cake-like in texture. Enjoy warm out of the oven, or cold if you prefer. 1. Preheat the oven to 160°C. Line two baking trays with baking paper. 2. Combine the flour, baking powder, vanilla powder and salt in a large bowl. 3. In a separate bowl beat the butter and rice malt syrup with an electric mixer until creamy. Add egg and beat until combined. 4. Add the butter mixture to the dry ingredients and combine with a wooden spoon. Fold through the chocolate (and stevia if using). 5. Roll tablespoons of the mixture into balls and place 4 cm apart on the lined trays. Press down slightly. 6. Bake for 15–20 minutes until lightly golden. Transfer to a wire rack to cool. Sarah Wilson taught the world to quit sugar in eight weeks and then went onto teach everyone how to cook delicious essentials, simply. The I Quit Sugar: Kids Cookbook will help parents to ease their kids off sugar without their even noticing with densely nutritious meals with no or very low sugar that are designed to be delicious, exciting and satisfying for our little people.